Balancing work with family commitments is hard enough without household budgets blowing out to accommodate daycare fees doubling. But this is the reality facing many Australian families as their rebate cap is hit well before the financial year is up. The July 2 federal election date is set, but it seems unlikely that will speed up the delivery of affordable childcare promised to families ahead of their last visit to the national polls. 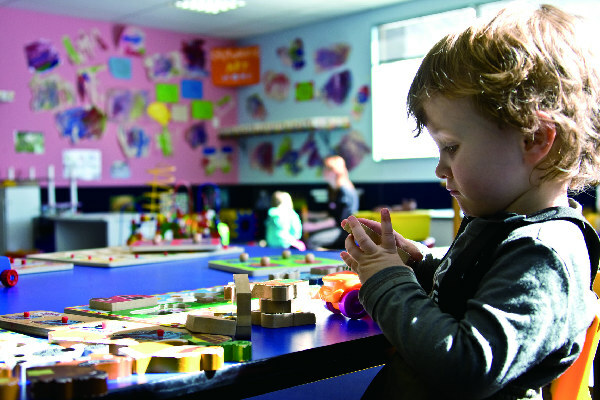 Julia Davison, head of Australia’s largest childcare provider Good Start Early Learning, says families have been waiting a long time for the government to fulfil its 2013 election promise and will now have to wait another year at least for relief. “We are extremely disappointed that the government has delayed its package to make childcare more affordable to July 2018,” she says. “This decision will cost the one million Australian families using childcare on average around $30 a week, and increase their total out of pocket childcare costs by over $1 billion in 2017-18. The Australian reports a record number of families will reach the $7500 cap per child for the daycare fee rebate this financial year. The rebate refunds 50 per cent of daycare fees but more than 93,000 families are expected to hit the cap, forcing them to pay full price. “Government assistance has not been keeping up with the cost of childcare and, as a result, families’ out-of-pocket costs have been rising even faster,’’ Goodstart spokesman John Cherry tells the Australian. Mr Cherry says families reaching the cap are forced to pay double the usual cost until the new financial year, or reduce the days their children are in care. He says it limits parents’ ability to work and restricts children’s access to early education. In last year’s budget the government promised to drop the cap for families with incomes less than $185,000 a year from July next year, with a $10,000 cap per child for families with higher earnings. But cuts to parenting payments, key to funding the $40 billion package, have been blocked in the Senate. Check out what is in the 2016 Federal Budget for families.